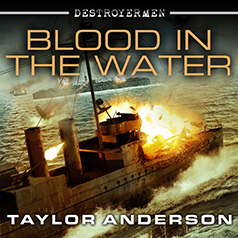 Taylor Anderson's enthralling New York Times bestselling series of alternate history continues as game-changing revelations upend the Grand Alliance in a potentially cataclysmic war. With more enemies than ever before arrayed against them, the crew of the Walker needs new allies. That means combing the lethal wilds of Madagascar to find the Lemurians' fabled ancestors, as well as the enigmatic dwellers east of the Pass of Fire. But what Reddy's crew unearths may be more than they can handle—discoveries so shattering that they could tilt the balance of the war in either direction.